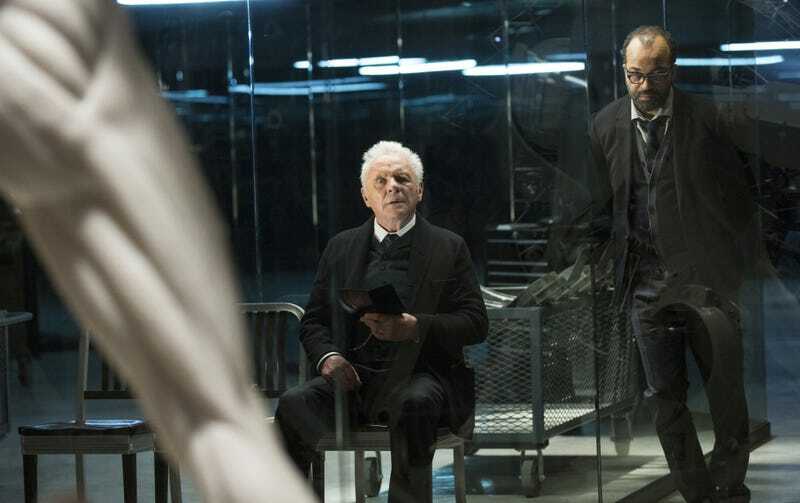 Westworld released its first full trailer during the Super Bowl last night, and it pretty much confirms what we all knew: Robots be killin’. Of course, HBO’s hit series is much, much more complicated than its hook, which centers around a robot uprising at a Western “theme park” for rich people. And if you’re having trouble remembering the meaning of the first season’s endless deluge of philosophy and man-on-robot violence, the below video essay from Alt Shift X should serve as a handy reminder. It’s a testament to the winding nature of Westworld’s plot and mythology that this recap surpasses the 16-minute mark. But, hey, there’s plenty to break down here, from The Maze and the Man In Black to the show’s multiple timelines and concept of consciousness. Hell, you could probably make a limited series just trying to sort through the labyrinthian grand plan of Anthony Hopkins’ Dr. Robert Ford. This recap is also a reminder of how alternately thrilling and frustrating that first season could be. For every breakneck action sequence or scenic vista there was yet another laborious monologue or revelation about Ford’s increasingly absurd control of the narrative. In some ways, that first season felt like a prologue to the real action, which it seems like we’re finally getting in season two.